Fleets across the globe are leaving both themselves and their drivers exposed to road risk by a lack of a cohesive strategy, in particular with grey fleets. That’s the finding of the Managing Road Risk 2018 Survey Report published by Strategic Analytics Team, following calls to fleets for information earlier this year. Carried out among some 1,700 international fleet operators – including Fleet World readers – this summer the inaugural research was run to find out more about companies and how they approach road safety, fleet management and journey management, with the intention of getting businesses to think differently about road safety and their legal and moral obligations, while also highlighting any industry issues or fundamental problems that need addressing to help shape future road risk solutions. While most companies reported that they have a driving for work policy, it was identified that few implement them robustly and most appear to be missing key elements. For example, the use of public transport or use of mobile phones, PDA’s while driving did not feature highly. ‘Grey fleet’ drivers are the most hidden group, with little control being exercised over them despite them being a high-risk group. This group had little in the way of training or the use of technology to help build effective barriers and controls. Shockingly some respondents stated that their companies never checked the driving licenses or insurance of grey fleet drivers after the first initial employment phase. 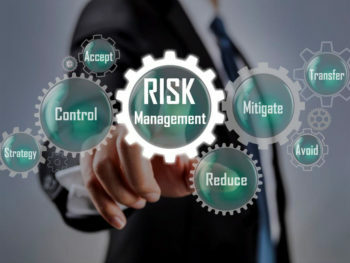 Legal responsibilities towards grey fleet operations seems to be the most misunderstood area and subsequently companies are at increased risk, especially in the UK and Europe. Many companies see using a grey fleet as a way of alleviating themselves from the legal obligations placed upon them and a way of reducing risk and cost, all of these assumptions are incorrect. There is little if any continuous professional development of professional drivers, beyond that of any legal requirements laid down. This included some companies seeing no value in training and with one company who have in excess of 8,000 drivers commenting that they only want the drivers to have a maximum of 1 day training per annum. There are financial benefits to having a fully trained driver team that will help reduce the incident rate, as well as fuel and maintenance costs. In Vehicle Technology Systems such as telematics are widely used but very few companies receive a good return on the investment as they have simply become an expensive vehicle location system. Vehicle and Driver Utilisation, planning, scheduling route identification and monitoring are all examples of telematics uses with the data obtained driving costs down for fuel, training and maintenance. Few companies understand the value of the data that can be obtained from telematics systems and how that can change both the road risk they face and improve performance, utilisation and safety of vehicles and drivers. Few companies have a strategy in place to change from hydrocarbon to electric vehicles, this is potentially the biggest change to how companies will route, schedule, maintain vehicles and manage their overall carbon footprint as well as there overall road risk. This will become increasingly challenging over the course of the next few years. With a growing number of cities wanting to clean up their environments, supported by both local and national legislation companies who have no strategy in place may find it becoming increasingly difficult to operate. Companies do not have a cohesive strategy around training and incident management – this is both costly and time consuming with little value added for anyone involved. Commenting on the findings, Paul Jorgenson, senior partner, said: “The management of road risks are an essential part of running any business, it doesn’t matter if your company is a large logistics organisation or a small business, at some point we impact onto the communities and societies in which we live. Fleets are being offered access to the report and its findings. Email [email protected] with the subject line MRR2018 to receive a copy.